WARTERFRONT Townhouse with Deeded boat dock and lift. Welcome to the Anclote Point Townhomes. A waterfront community featuring upscale townhomes with deeded boat slips and Gulf Access. 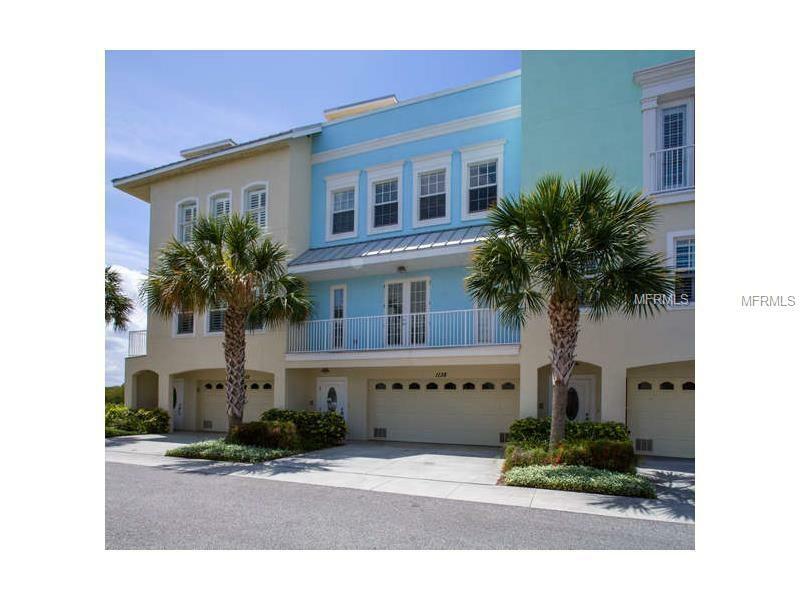 This beautiful 3bd/3ba townhome sits nestled on the Anclote River and just a short walk to the Famous Tarpon Springs Sponge Docks. This townhome features an oversized garage that can easily store up to four vehicles, an elevator that services all three floors plus the roof top terrace. Enjoy the water views from all floors and the amazing panoramic views from the roof top terrace. This homes comes with a deeded boat slip and 13,000lb boat lift which can easily hold up to a 30' boat. The community features a gated access and a community pool and covered seating area for those hot summer days. HOA fee includes: Building insurance, Flood insurance, Exterior Building and Care for all common grounds to include community pool, streets, entrance gate. New exterior paint colors have been approved and exterior painting will begin soon.